The California Energy Commission (CEC) last week signaled support for BrightSource Energy's request to increase natural gas use at the Ivanpah Solar project to nearly 525 million standard cubic feet each year to help heat steam when the sun is not shining. 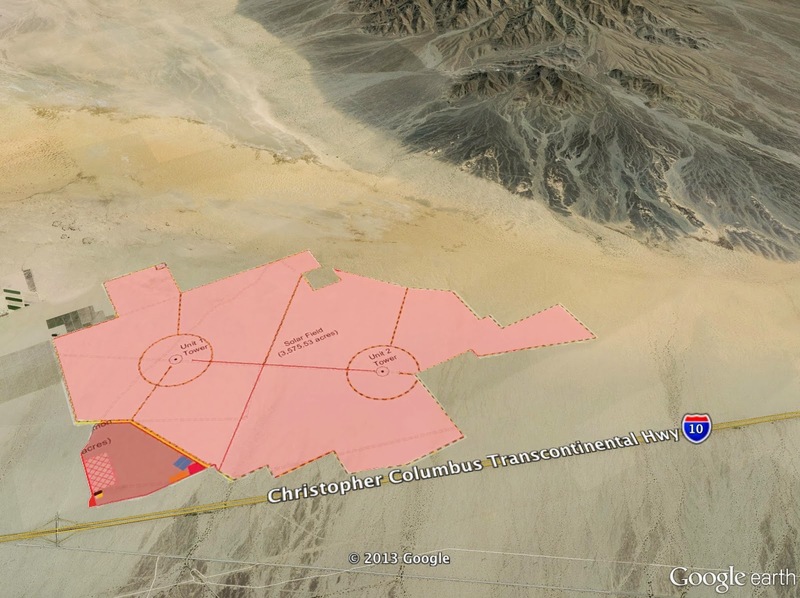 BrightSource's request to burn more natural gas underscores the difficulty the company has had with its experimental power tower project, even as the company proposes building the even larger Palen Solar project east of Joshua Tree National Park. 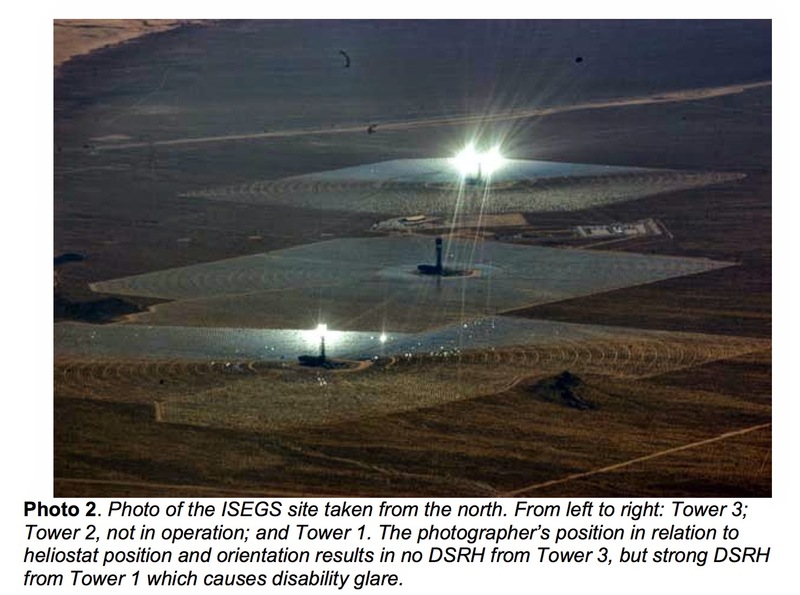 The difficulties at Ivanpah - increased fossil fuel use, impacts on birds and bats, and poor operational performance - undermine the company's argument that the CEC should approve Palen because of the project's proposed renewable energy and storage benefits. The Sierra Club filed a petition this month opposing BrightSource Energy's plans to build the nearly six square mile Palen Solar power project in the Colorado Desert between Joshua Tree National Park and Blythe, California. Although the California Energy Commission (CEC) denied the Sierra Club's petition to formally participate in evidentiary hearings regarding the project, the Sierra Club's public opposition adds to the persistent environmental concerns expressed by desert conservationists, including the Center for Biological Diversity and Basin and Range Watch. 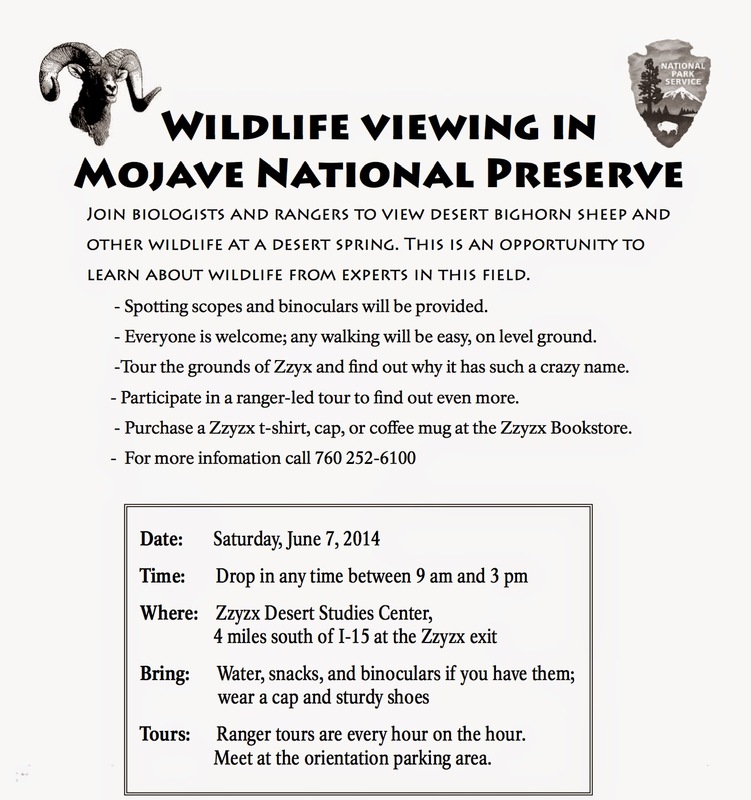 If you are free on Saturday, June 7, head out to the Mojave National Preserve for an opportunity to learn from wildlife experts and a chance to see bighorn sheep and other desert denizens. I had the fortune of visiting the Desert Studies Center at Zzyzx last month, and the even greater fortune of viewing desert bighorn sheep along the rocky slopes that meet the Soda Dry Lake. Although the landscape is mostly dry, natural springs in the area provide a critical water source for the sheep and habitat for the endangered Mohave tui chub. I would highly recommend heading out to this event early, and consider camping in the Preserve that night if you want to prolong your escape into the desert!